Shyness is something I and many others suffer from. 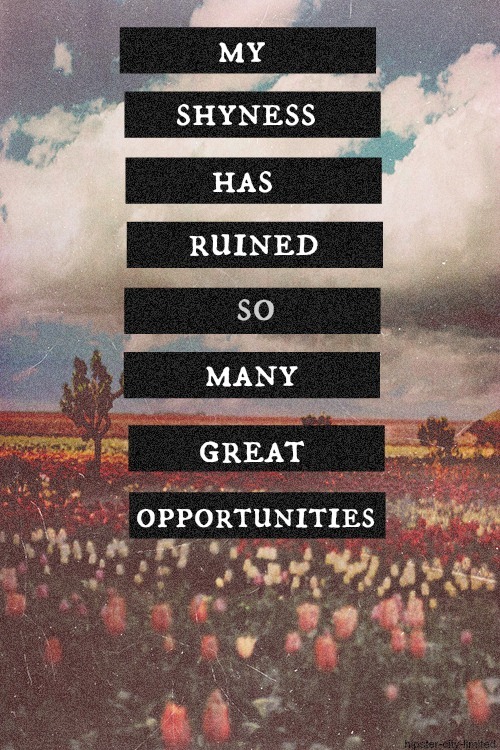 It's a very common thing and confident people don't seam to realise how much it can effect a person where they are put on the spot when they don't want. Shyness can stop people speaking up about a lot of things that can be a major deal things such as bullies- leaving people wishing they had the guts and the confidence to stand up to the people who have hurt them but this barrier of shyness stops them. For most teenagers, they(we) think about boys or girls and wanting a girlfriend or boyfriend and a lot of people wish they could talk to certain people to maybe tell them how they feel but it's harder for them than it is to others. Shyness can stop you doing things in life that you really want to accomplish and it is a massive barrier that you need to pass through to overcome and be on the road to become confident. For me, shyness can be something that comes along when I really don't want it to. It happened once when i was meeting someone for the first time and I thought the whole situation through in my head and then shyness came knocking at my door and i couldn't even hold a proper conversation with them. Also for me I can sometimes be shy at first before meeting someone but that can change within hours when i show my true colours and find a new found confidence to talk to someone properly and have fun and laugh and just joke around. For me, shyness can stop me from achieving things but as not as much as some people. 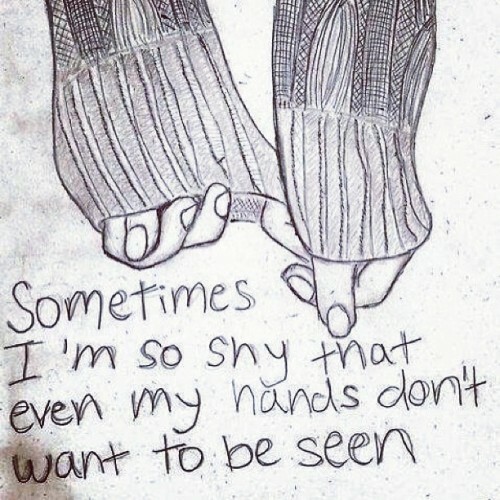 Shyness is a big deal for some people and people need to realise and if you're shy then you're not alone.